Size: 57 " x 30" x 36"
Size: 57" x 30" 54"
We offer Electra-Mechanical Rides to our valuable clients at fair prices. Our products are made of high quality raw material. A mechanical bull, also known as a rodeo bull is a machine that replicates the sensation of riding a bucking animal, such as arodeo bull or horse popularized by Sherwood Cryer. It is usually powered by a variable-speed electric motor. Padded flooring is often installed around the equipment in order to prevent injury to those thrown off it. 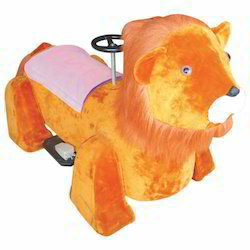 We are engaged in offering Electric Animal Ride. Banking on the individual requirement of the clients, we offer appealing array of Walking Animal Ride that is full of fun and excitement. Our entire product range has smooth surface finishing and is durable. 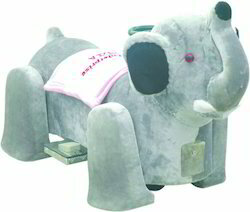 Its surface is extremely soft in nature thereby helping the player to enjoy the ride.